Orcutt Dentistry provides each and every patient with quality and personal service. 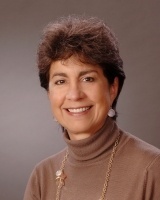 Dr. Blanca T. Entrena uses state of the art techniques and equipment to ensure the safest level of care to provide the patient with a lifetime of dental health. Orcutt Dentistry is committed to delivering the best possible care, and strives to focus on renewing, repairing and maintaining the smile of each patient. Your comfort and satisfaction is our top priority. Dr. Entrena specializes in advanced restorative and esthetic dentistry; her extensive experience, modern technology and friendly team work seamlessly to meet all of your dental needs. Dr. Entrena is also fully fluent in Spanish.